Do we have any time piece fanatics here? If you are one, then we’ll assume you have heard of TAG Heuer, a high end Swiss watch maker who’s pieces are quite extraordinary and pricey. 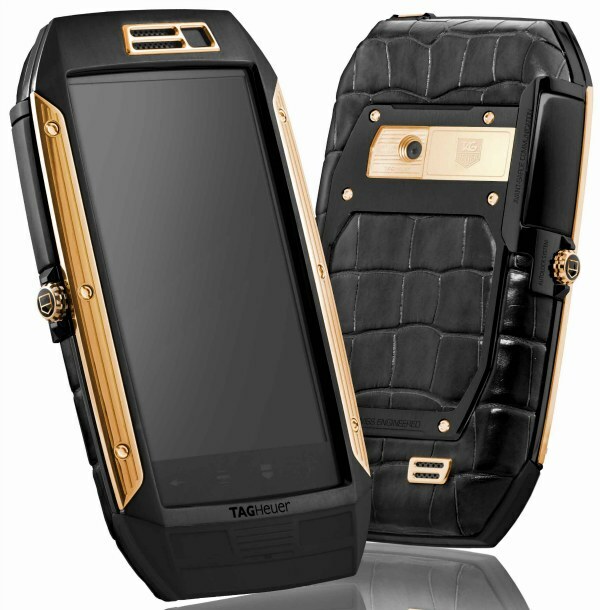 TAG is now introducing the Link, which is a smartphone running Android 2.2, has a variety of skins such as alligator hide for an exterior, and even Gorilla Glass. The phone has a listing of $5,000 US Dollars, and TAG mentions they do plan on updating the OS in the future to hopefully Android 2.3. Let us proceed to wipe the sweat from our brows, because the phone itself, has actually been built like a tank. It is waterproof, air sealed tight, and is completely shock resistant (Samsung take notes). TAG has spared absolutely no expense in making this thee phone that all the celebrities want, and have produced an amazing promo video for its release. If anyone was wondering what the boys here at Droid Life want for Christmas this year, it’s not this. Tuesday Poll: Thoughts on Google+? Is it Your Next Social Friend?